You are here: Home > Please Mommy, Daddy don’t hurt me? Seas onal Drowning Syndrome is the misconception that children only drown during the summer season, in a swimming pool and only in large bodies of water. The clever media people (newspapers, magazines, radio, television) created the Seasonal Drowning Syndrome by annually, September to December, dramatically placing great emphasis on the need for children to learn to swim. They always mention the pool net, the pool fence, pool fence gate (which is generally left open). Parents want to pay the cheapest rates, minimal input from themselves and their children to ‘magically’ have instant swimming skills. And they all believe that this is enough! This article is meant to shock you! Until you have experienced having to resuscitate someone’s child, you will never realise how fragile a life is! DROWNING is the means of KILLING by being deprived of air or oxygen due to the face or head being submerged/immersed in water (suffocation, asphyxiation, smothering). ‘When a child drowns they die. They are gone forever. 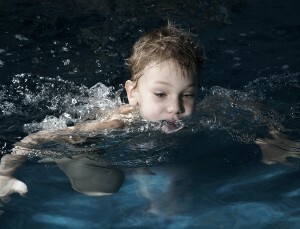 It is not fair to a child to experience death by drowning through suffocation in water due to the parent’s negligence’. What excuse can you as a parent make to justify to your child, yourself, your husband/wife, siblings, death through drowning? No excuse brings life back to a drowned child. When a child drowns, it is the parents’ (mother and father) fault, regardless of whose care the child is in. It is always the parent’s responsibility at all times to keep their children safe in and around water. The clever media do not tell you that 4 out of 5 children who survive drowning through resuscitation live with brain damage (physical disabilities, special needs) for the rest of their lives. ‘Mommy Daddy I am only little. When I was born you promised to take care of me. I trust you. You choose how safe my little life is’. Keep children WITHIN ARM’S LENGTH. This way you will never ASSUME they are safe. You will always KNOW WHERE THEY ARE. Wherever there is water you must know of, put in place and use as many ‘water safety skills’ as you can. Irresponsible, lazy parents rely on technology and swimming aids as a substitute for vigilance in and around water. VIGILANCE is the parents’ prime responsibility at all times to keep children safe in and around water.